In today’s competitive business environment, getting the correct products to the right place at the right time via the most cost-effective manner is paramount for your business’ success. To stay ahead, tech-smart operations, savvy professionals are using logistics and supply chain mobile applications as must-have tools for operational excellence. These apps help companies achieve every business process from tracking inventory and shipments to booking meetings with clients to tracking tasks and projects. There are even apps that can replace the traditional logbook to make your job easier. Using every tool available to you will allow for improvement in supply chain functionality, productivity, and profitability. In this blog, the team at EazyStock will be showing you the most exciting logistics and supply chain mobile applications that will make your job even easier. This clever app for android and iOS that is available from $29.99 deals with all your business needs to book appointments with your clients and make your professional life easier by using your smartphone to view your whole day. This app allows you to easily control your business and help you save valuable time via client self-service that allows your clients to see your calendar 24/7 and choose free slots. BooksyBiz also includes marketing and loyalty tools that allow you to engage with clients through email and social media platforms. A nifty task-management app that has been released in its third edition that has redesigned its core features to add power to the app’s capabilities and has brought fresh design and new features. This app allows your business to vastly improve its productivity. This task-management app is especially good for complicated projects that need a rigid structure, allowing you to track projects to completion. This app is available on Mac, iPad, and iPhone. Veeqo is a Warehouse Management System (WMS) for retailers. This all-in-one solution allows multichannel retailers to easily manage warehouse operations from one convenient system. Veeqo features include picking, packing, and shipping management capabilities, a Veeqo Scanner for easier warehouse operations, and it lets you manage multiple warehouses in one place. Any shipments will be automatically updated across all relevant warehouses, sales channels, and marketplaces. You can even see exactly where in a warehouse any goods are located. Veeqo offers a comprehensive suite of features for fast-growing omnichannel retailers to stay on top of their warehouse operations. Whatever your location, the Desk App allows you and members within your team to track customer issues while on the move. By never losing touch with your team or customer, you’re able to collaborate better as well as better tracking and responding to cases, allowing you to maintain and build stronger customer relationships. Desk is available on both iOS and Android. This application makes it easy to track the time spent at each stop for different drivers. This time tracking app for documenting the driver name, customer name, arrival time, departure time and more. Use this time to track spreadsheet to track employees each day based on real-time data. Whether you work as an independent truck driver and need reliable route plans for your records or work in fleet management, utilizing a driver route tracker app means you can get rid of paper forms. ServiceMax specialises in field service management; the app seamlessly integrates field service contracts, order management, workforce optimization, parts management, social media customer monitoring, customer communities, and analytics into a company’s Salesforce.com system. When it comes to building an end-to-end view of your service organization, ServiceMax delivers 360 degree visibility. Aligning your business has never been easier. 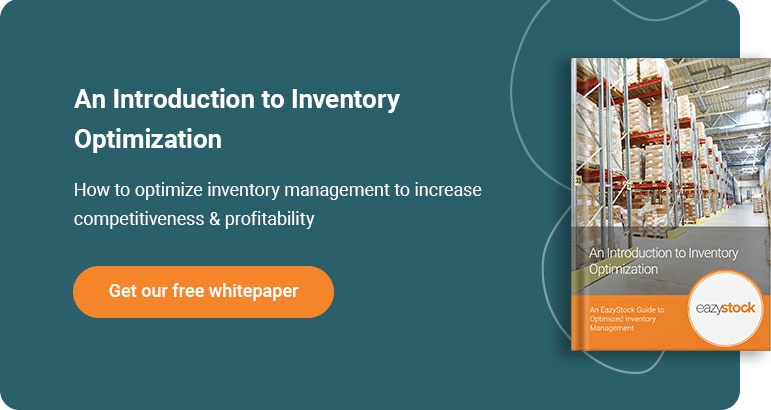 You know the benefits of taking your supply chain with you wherever you go; find out how else you can push your supply chain to the top with inventory optimization! Take a look at our guide to getting started here.